Please take time to look around our website, where we hope to ensure you have all the information and news about Fleet Medical Centre, healthcare and local services. Prescribing of over the counter medicines is changing - click here to read more. We would like to thank all of our patients who have been so welcoming to our medical students. This is a very important role for the practice in the development of future GP’s. If you do have concerns or feel uncomfortable with a medical student sitting in on your consultation please see reception before your consultation. There is no obligation to have a student sit in your consultation and any decision to decline is respected without question. Complete your asthma review on line, these are then reviewed by the clinical team who will contact you if you need to be seen. Prescription Newsflash - Important Information regarding the Prescription Service and changes to over the counter medication. Are you a Carer? Visit our page on carers and find out about services available. Fleet Medical Centre Welcomes Everyone. If you are Homeless, an asylum seeker or refugee you are entitled to healthcare treatment. If you know anyone without a fixed address they can still be seen at Fleet Medical Centre. Everyone is entitled to immediate and necessary treatment. Ask at the main reception for further details and a temporary resident form. Significant events (which may involve examples of good practices well as challenging events) are investigated in detail to see what can be learnt and to indicate changes that might lead to future improvements. All significant events are reviewed in the monthly Quality Meetings with all clinical members of the practice.In the past year there have been no significant events relating to infection control. The practice has recently engaged with the CCG to gain an independent inspection and audit of the infection control of the practice, this was conducted on the 14th November 2018 and we are awaiting the full results of this audit. These results will be published and an action plan created of any improvements that are required following this audit. We are very excited to announce that the e-Consult service is now available for patients at Fleet Medical Centre. The service allows for you to consult with a GP at your own convenience, prompt them of your condition and receive a response by the end of the next working day. For more information on the e-Consult service please take a moemnt to watch the short video below. Further information on the service will be available at reception in the coming weeks. Please note: the e-Consult serice is not and emergency service. Appointments with a GP or Nurse cannot be requested via email. For an On-the-Day appointment please contact the Reception team on 01252 619000 from 8am Monday to Friday. This year, NHS England South are supporting Jo's Cerivcal Cancer Trust, to help raise awareness of cervical screening. Being screen regularly is important as this means any abnormal changes in the cells of the cervix can be identified at an early stage and, if necessary, treated to stop cervical cancer developing. 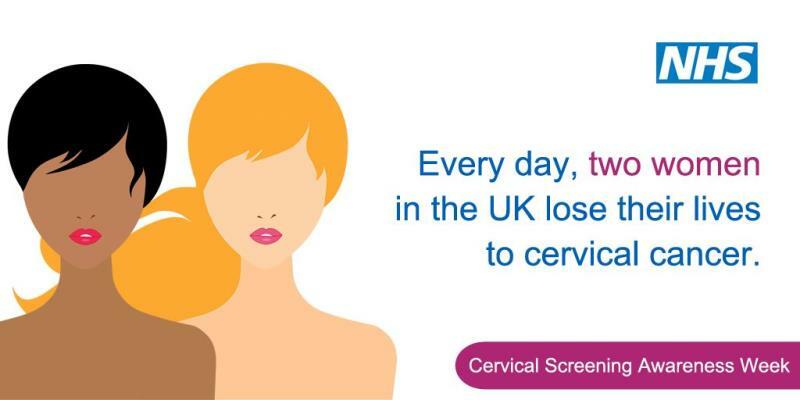 For more information on cervical screening, visit NHS Choices.